Our services are based upon the information that you need. We start with your information requirement and work with you to devise a solution that provides information that is accurate, professional, reliable, and repeatable. This is a significant difference compared to other remote sensing and aerial photo companies. They normally have an inflexible approach based upon a system that they purchased and will attempt to convince you that what they provide is what you want. 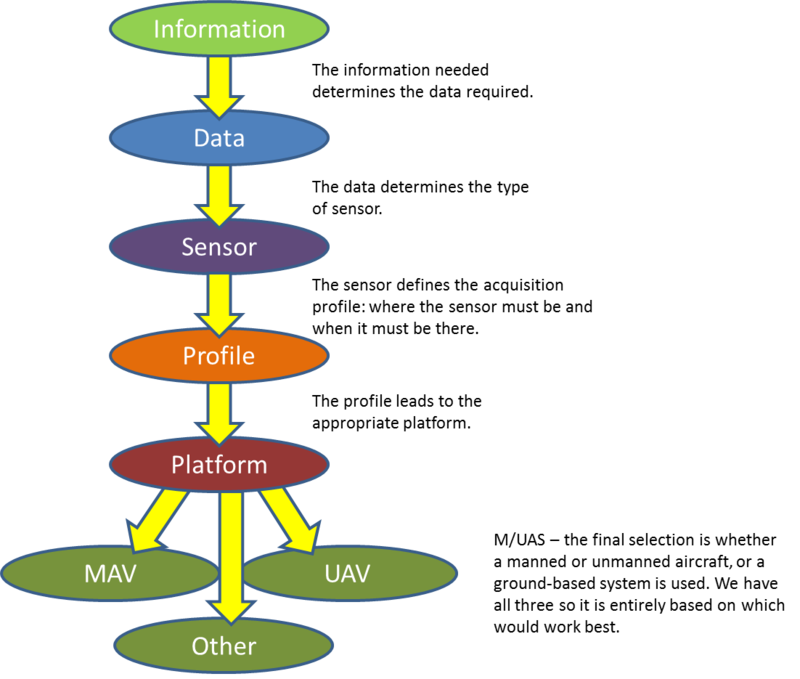 Eagle is a vertically integrated company: we design our sensor systems that operate in our aircraft (manned and unmanned) flown by our pilots. We process the data collected and deliver your information directly. Everything is contained under one roof, allowing us to customize the entire process to efficiently provide what you need. Our approach is to start with the information that you need and let that lead the entire process. From our first remote sensing project in 1997 (delivering information derived from aerial imagery for modeling the surface of the ocean), to measuring forest parameters, to calibrating flood models, to providing accurate stockpile volumes, to creating precision application maps for agriculture, we have been able to deliver the information our customers need. The responsiveness possible when even the system design is provided in-house allows us to provide your information in a variety of ways. We have delivered the required information the same day it was ordered, timed our acquisition to capture the peak traffic conditions at a music festival each year as they worked to improve traffic flow, delivered images of burned forested areas soon after the smoke cleared for insurance and salvage needs, captured images at the optimum time for seeing the difference between tree types, and incorporated many other specific project parameters to maximize the value of the derived information. Our flexibility extends to project size: from less than 5 acres to millions of acres, we are able to obtain the information you need. You can see some of the projects we have successfully delivered on this website, but please keep in mind that the information you require is what is most important to us. Contact us and we can discuss how Eagle can become your custom information provider.